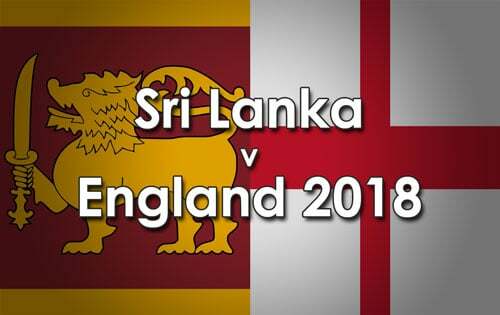 With England already having won the ODI series, it would be all about the proverbial pride for Sri Lanka as they take the field to avert a clean sweep. Sri Lanka performed their best of the series till now in the 4th ODI. Batsmen Niroshan Dickwella, Dasun Shanaka and Thisara Perera helped the team post an above par total on a tricky pitch. Although Jason Roy showed a lot of intent to begin with, the game was almost even-steven before rain decided to play spoilsport. It is very unfortunate that both the teams have not been tested as much as they would have liked in the series. Most of the matches have been curtailed due to rain and cricket has not been the only deciding factor. For England, Alex Hales would like to make his mark in the absence of Jonny Bairstow. Also, there is a healthy competition between Olly Stone and Tom Curran as possibly only one of the two will make it in the final world cup playing XI. The move of the Sri Lankan Cricket Board to replace Angelo Mathews with Dinesh Chandimal as the captain of the team has not bore much fruit. Chandimal has not been able to put up an impressive show with the bat. Lasith Malinga after impressing in the initial part of the series has been flat and would love to peak in the last match of this series. All said and done, England have momentum on their side and it would be very tough for Sri Lanka to top that. Now that the series has already been decided, the schedulers have been kind enough to keep a reserve day for the final ODI. Let's have a look at the probale playing XIs of both teams. Weather – keep an eye to the weather forecast as this may affect odds and playing conditions (D/L) – at present, it looks like there is a lot of rain about, so reduced overs is a probability.